Samsung Galaxy S9 and S9+: what are the best alternatives? Looking for a great alternative to the new Samsung Galaxy S9 and S9+? While there are a ton of phones available, only a few can match Samsung's new heavyweights in terms of design, performance and camera quality. We have picked the 5 best options that we ourselves would turn to if we had to select an alternative. 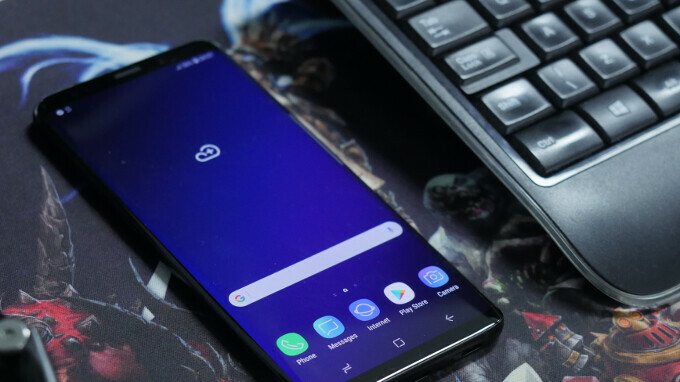 These are the 5 best Galaxy S9 alternatives that are available right now. Google might have gotten a ton of bad press about the display of the Pixel 2 XL (some units suffer from burn-in issues and all displays turn bluish when you view them at an angle) and we would add that the design of the Pixels is not quite as stylish and elegant as on the Galaxies, but the Pixel 2 series more than make up for these shortcomings by delivering the smoothest performance of any Android phone that we have used and arguably the best camera ever put on a smartphone. This is important: even though the Galaxy S9 has a newer Snapdragon 845 chip inside, the Samsung Experience interface on it still stutters a bit and is not quite as smooth and fast as on a Pixel. You also don't get any duplicate apps and bloatware on the Pixel series. Not just this, the Google Pixel phones are the only ones that are getting updates on Android on time, while Samsung still has not pushed the Oreo update to its Galaxy S8, half a year after that update was pushed by Google. The Pixel 2 series also come with a promise for three full years of software updates by Google. All about the iOS ecosystem. The $1,000 iPhone X is the best iPhone that you can get and if you are not dead set in the Android platform, the iOS ecosystem has a lot to offer: you have iMessage, many games arrive first and sometimes only on iOS, the popular Apple Watch only works with the iPhone, and you are guaranteed to get long years of software updates. Not just that, but the smooth iOS interface contrasts with the slightly stutter Samsung Experience on the Galaxy S9 series. The new iOS gestures are an absolute delight to use and feel like a big step forward in the actual experience of using a phone on a daily basis, while the on-screen navigation buttons on the Galaxy are not quite as fluid and comfortable to use. When it comes to the cameras, it's a tie. The iPhone and the Galaxies take different pictures: the iPhone with its signature overblown contrast and saturation, while the Galaxy captures more balanced, photo-realistic images. If you don't mind spending a bit more on the newest iPhone, it is another great Galaxy alternative. Here is another option: you might just skip the Galaxy S9 altogether. If you are using one of Samsung's last year top phones - the S8, S8+ or Note 8 - you don't get much new with the S9. You get fixes: the fingerprint scanner position, the slightly more balanced images, the 4K60 video recording capability, the better sounding stereo speakers... and that's about it. The rest of the features like AR Emoji and Super Slo Mo are gimmicks for the most part. One for video and audio enthusiasts. If you still want to try a different phone that has character and personality, the LG V30 is one more great bet. The V30 is certainly the prettiest phone that LG has ever made and easily one of the most elegant phones out there. It is unique with its super wide-angle secondary camera that allows you to capture a different perspective. If you are into filming sports or taking pictures of big buildings, this camera is a god-send. In fact, video recording and editing is the V30's marquee feature as LG has included some cool, advanced video grading and editing options. One more thing: the V30 has a high-resolution audio output and a headphone jack, so you can take those expensive, high-impedance headphones that you have and plug them in and enjoy immersive, high quality sound. The LG interface is the weakest point of the V30, with its quirky cartoony looks and quiestionable esthetics, but the phone moves fairly smoothly and has all the features you can expect from a flagship. Finally, if you don't want to spend a fortune on a new phone like the Galaxy S9, yet still want something with a similarly good performance and an elegent design, the OnePlus 5T is your best bet. With a price starting at just $500 for an unlocked phone, the OnePlus 5T has a bezel-less screen, the Snapdragon 835 flagship-grade processor, ultra-fast performance, the latest Android version, and a few neat tricks in the simplified and likable OxygenOS custom Android interface. Also, it has rock solid battery life and a decent (but not great) camera. I wonder why the iPhone X don't have a landscape mode like the plus models. Still rocking my XZ premium since last June. See no reason to upgrade for incremental changes. And everybody needs 2k? 4k is the logical step after 1080p. Most of the people can't even see the difference between 1080p and 2k. Huawei not paying you enough or is the the Mate 10 Pro just rubbish? Mate 10 Pro is a good alternative as well. Regular Mate 10 is great too. I just got it for $479. Apple iPhone X All about the iOS ecosystem. This is like craving Mexican food & but it's not available so you get barbeque instead. XZ2, Mate 10 Pro are good alternatives. Heh...I guess the Iphone would be a good alternative for a Galaxy...And let me get this right, if I want the new Oreo OS I have to buy the new Galaxy...wow. Nah, I'll just stick with my U11, even the new Galaxies can't compare. It's a article from typical Samsung hater who put every fake fact to prove his point.. Having alternatives is good but right now the galaxy S9 is the king in every aspect and have no real alternative. A few lines in the article are--S9 stutters... Even S8 is faster than pixel 2. Pixel got best camera??? S9 has a camera others can only imagine of.. S8 didn't get oreo yet??? Liar I think every S8 is on oreo now except some carrier ones and Samsung users had to wait a little more but S8 oreo isn't like any Google oreo. Added with Samsung experience 9 and amazing new features like dual messenger from Note 8. It's much more than a regular oreo update so little wait is not a problem. S9 provides the best smartphone experience which others can only dream of. My smartphone experience using a Samsung s8 was disastrous. But someone else can have a great experience using the same phone. So I guess any phone that you feel offers you the things you need is a good alternative.